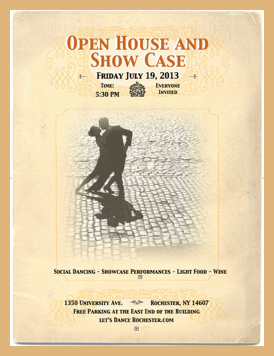 You are cordially invited to enjoy our July 19th Open House and Dance Showcase! You will see amateur couples performing and also pro-am performances where a student dances with his/her instructor. 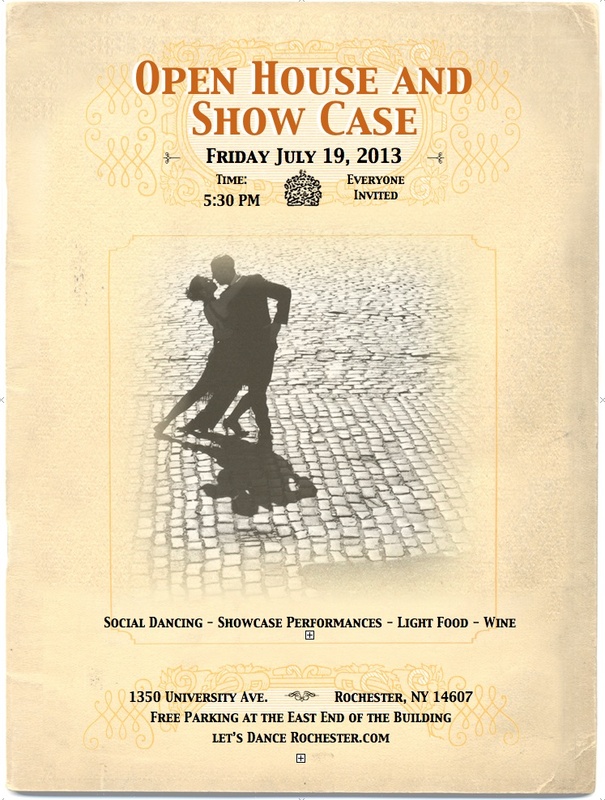 There will be lots of opportunity for social dancing! Click on the image to the left to see all the details. Also, click here to see the latest studio news!